This talk is to help local, emerging artists and young art professionals in their efforts to promote their news and events to local and regional media outlets. However, the lecture is open to anyone interested in learning more about how to promote their efforts through local media outlets. In this presentation, Usmani will discuss press releases, deadlines, different media outlets (traditional vs. digital), networking and more. By the end of the presentation, participants will learn what to send, who to send it to and when to send it by. Following the talk, audience members will have an opportunity to ask questions. 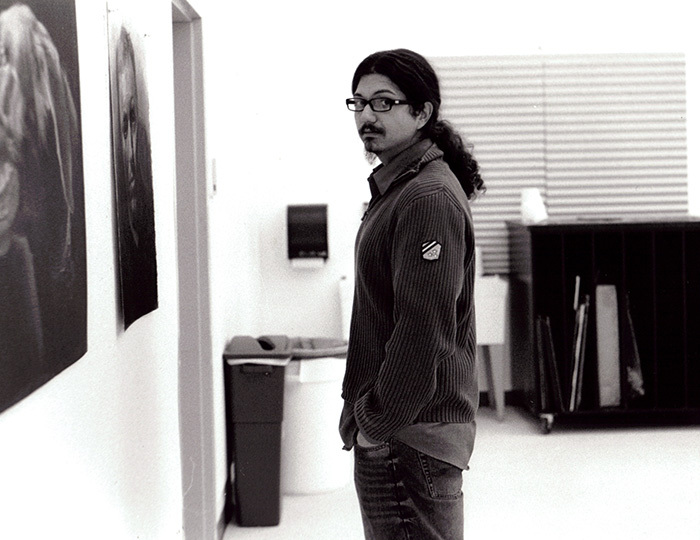 Josh Usmani is Cleveland Scene Magazine’s Visual Arts Editor. In addition to writing, he’s also an artist, instructor and occasional curator. He graduated from Cleveland State University with a BA in Painting (’13). In just two years, he’s written over 200 articles and hundreds of shorter event listings. Currently, he has his third solo show, Funny Money II, at Tregoning & Co. (78th Street Studios). He teaches cartooning classes for kids at Cleveland Institute of Art, Shore Cultural Centre and the Campus International School at CSU. Josh’s multi-dimensional career allows for insight into art journalism from virtually every possible perspective. “I began writing about local art news and events, because I wanted to see the efforts of my hardworking friends and peers get the attention they deserved,” explains Usmani. “I kept meeting so many people doing cool, interesting things, but it was like a tree in the woods. If no one knew about it, did it really happen at all? It’s in this same spirit that I’ve proposed this discussion. I want to help as many local artists and art professionals as possible to promote their efforts,” Usmani says.